Confidence is something that can be developed by practicing Ki-Do Karate. When a student has the courage to overcome obstacles, success naturally follows. 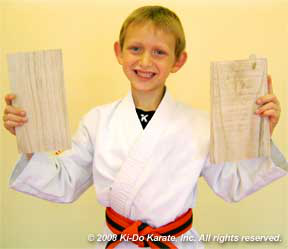 Ki-Do Karate teaches students how to gain control of their minds, bodies, and emotions through various drills. When a student believes in themselves they become more successful. Ki-Do Karate skills last a lifetime.